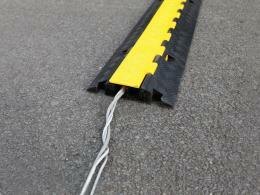 External cable cover hire can often be more expensive than buying them outright! 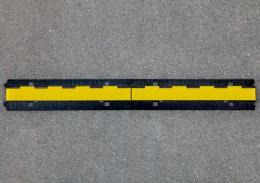 What is the purpose of the Pedestrian Cable Cover? The purpose of the Pedestrian Cable Cover is to be able to provide utility services, such as electricity, without impeding foot traffic. By keeping the cables safe under this cable protector, you reduce the risk of people tripping over the wires and the risk of damage to the wires themselves, resulting in the loss of electricity or the need to replace the wiring. Where can this cable management system be used? The Pedestrian Cable Cover is the perfect product to be used at events and festivals, where electricity is often required and there is a high amount of foot traffic. 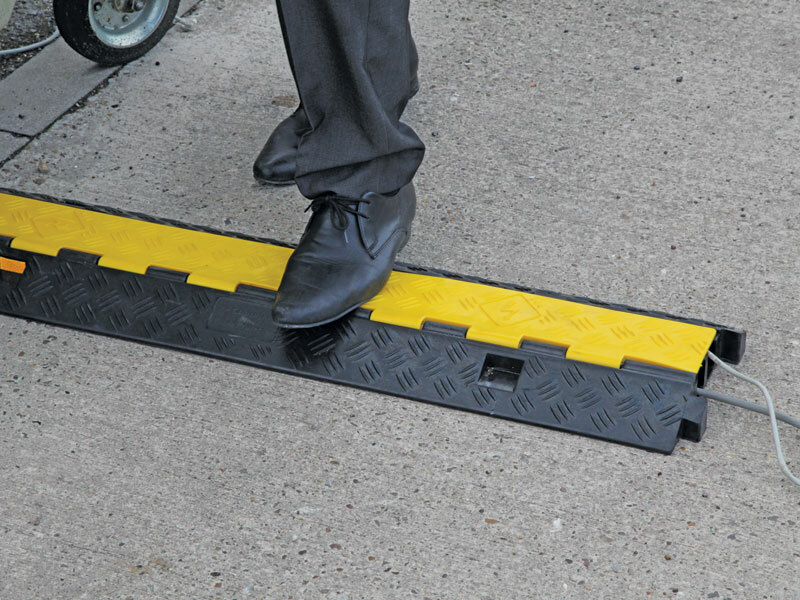 This floor cable tidy is not suitable for use with cars, so they need to be in an area that is free from vehicle traffic. Who might use this cable cover? This product is most likely to be used by event and festival directors, as well as any kind of pavement area where cables are needed. Covering the cables not only provides a safe place for patrons to walk, it also gives a uniformed and neat look to your event, instead of an eyesore of cables and wires tangled and intertwined throughout the cement. 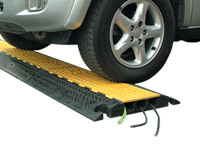 The Pedestrian Cable Cover comes with two channels that allow for cables to be inserted. A plastic hinged lid makes it easy to insert the wires without trying to fish them through the opening. 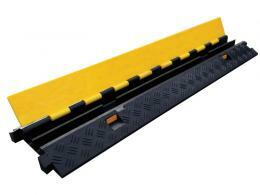 The base is made from heavy-duty rubber and the product weighs in at only 6.6kg. Purchasing these cable covers can be a much cheaper option than renting them out. Adding additional value to your purchase, this cable protector comes with a one-year parts and labour warranty, giving you the peace of mind that you are getting a great product. This product is eligible for free, next day shipping to anywhere in the mainland UK, as long as it is ordered before 3pm. Orders received after 3 will process the next business day and you will receive your order the following business day.